Our month-long voyage on the Marine National Facility research vessel Investigator is the first Australian expedition to explore the biodiversity of the abyss and reveal this hidden marine environment to the world. The abyss is the deepest part of the ocean, deeper than 4000 metres. Abyssal depths cover almost half the global ocean, and one third of Australia’s marine estate. It’s the largest habitat on the planet, yet little is known about its biodiversity, or the ecological processes that sustain it, such as how abyssal life is fed and replenished. 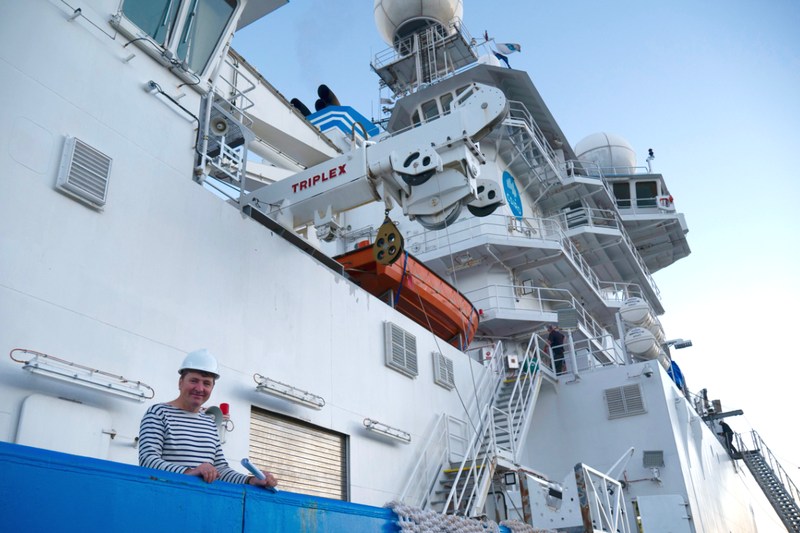 The voyage is led by Dr Tim O’Hara of Museums Victoria, and involves a team of more than 30 scientists and technicians from CSIRO, Museums Victoria, and other Australian and international museums and research agencies. Our international team draws together scientists with specialist knowledge of the taxonomic groups we will be collecting on the voyage. The ocean hosts a far greater diversity of animal groups than the land, and knowledge of the different groups is spread throughout the world. Scientists whose work focuses on echinoderms (starfish and their relatives), molluscs, crustaceans, cnidarians (sponges), polychaetes (marine worms) and pycnogonids (sea spiders) are coming from the United Kingdom, Belgium, France, Austria, Russia and Malaysia to take part. Our survey off eastern Australia will visit seven Commonwealth marine reserves, (Freycinet, Flinders, East Gippsland, Hunter, Central Eastern and Coral Sea) pausing 19 times to investigate the seafloor at bathyl (2500 m) and abyssal (4000 m) depths. It begins at 42°South, in the temperate waters of Tasmania’s Freycinet Commonwealth Marine Reserve, and ends at 24°South, just north of Fraser Island in the tropical Coral Sea. Multibeam sonar will be used to map the seafloor, and plankton and fishing nets, bottom sleds, sediment corers and cameras will sample marine life at the base of the continental slope. At the deepest sampling stations, it will take up to seven hours to deploy and retrieve the fishing gear. Scientists on the voyage are divided into fish and invertebrate processing teams, with each team using different collection and preservation techniques. They work in two shifts (2:00─14:00 and 14:00─2:00). Many of the biological samples, such as worms, snails, seastars, pill bugs and small fish, will be tiny, and microscopes will be used to identify samples to the highest possible taxonomic resolution. By sampling at two depths and at intervals of one degree of latitude, the survey will help us build maps of biodiversity patterns along the voyage route, as a basis for measuring a future changes. This will be the first exploration of these areas, and we expect to find many new species. In waters shallower than 2000 m, seabed biodiversity patterns relate to gradients in depth and latitude. We’ll use a range of techniques during and after the voyage to study the environmental and ecological factors that influence biodiversity patterns at deeper depths. To map the energy sources that sustain abyssal life, isotopes of carbon, nitrogen and sulphur will be measured in tissue samples taken from selected species. Detrital rain from the surface is thought to be the main abyssal energy source, but organic matter can also flow from the land to the edge of the continent, or from phytoplankton production at the sea-surface. DNA samples will be analysed to measure gene flow between populations, to see how populations of the same species are connected, in particular, the direction of gene flow from one population to another. A key question is whether abyssal populations depend on planktonic larvae transported from higher up the continental slope, or by deep ocean currents. We have aquaria onboard the ship and are will be attempting to keep some or our biological samples alive in order to photograph them and test for bioluminescence. We’ll also test samples taken from the sediments and surface waters for the presence of micro-plastics. The voyage will enable Australia’s abyssal biodiversity to be compared with similar depths and environments known from other regions. It will help to address question such as: does abyssal fauna in the Southern Ocean differ from the Indian or South-western Pacific oceans, and does benthic diversity peak at 2000─3000 m then decline into the abyss as has been found in the North Pacific and Atlantic oceans? What will happen to the samples and data? Specimens will be lodged in museum collections by participating taxonomists prepared to identify a particular taxonomic group. Foreign voyage participants, or port-voyage specialists will retain voucher material, and most specimens and all primary type specimens will be lodged in an Australian museum. Specimen data and selected images will be available online (through museum websites) and national (Atlas of Living Australia) and International (GBIF/OBIS) databases. DNA sequences will be lodged in the international GenBank or Barcode of Life databases and phylogenetic data into Morphobank and TreeBase. Other datasets (such as isotopic data) will be archived on AODN.